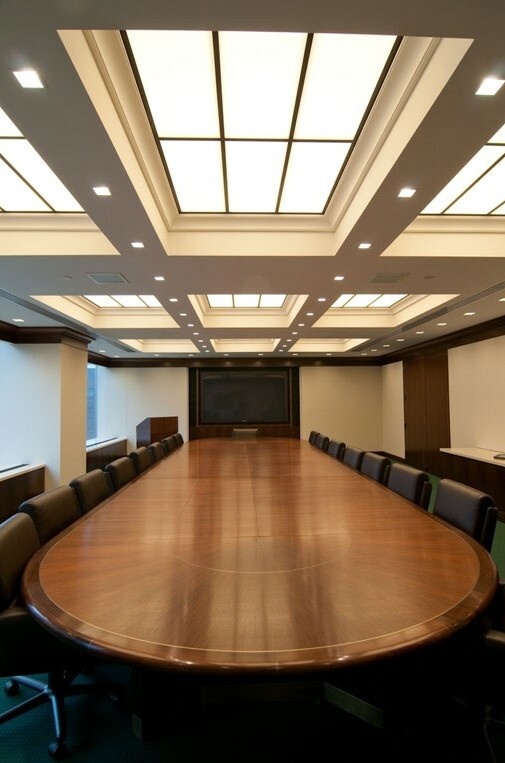 As part of the renovation of the New York headquarters of the Hess Corporation, TPG Architecture called on Newmat USA to achieve two of their design elements. 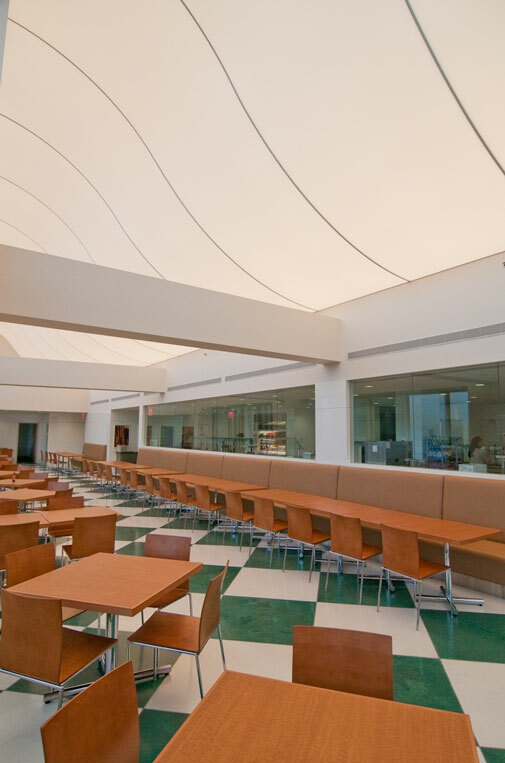 The first consisted of a large 2,500 square foot, 3-dimensional S-curved translucent ceiling backlit with fluorescent fixtures for the dining area. 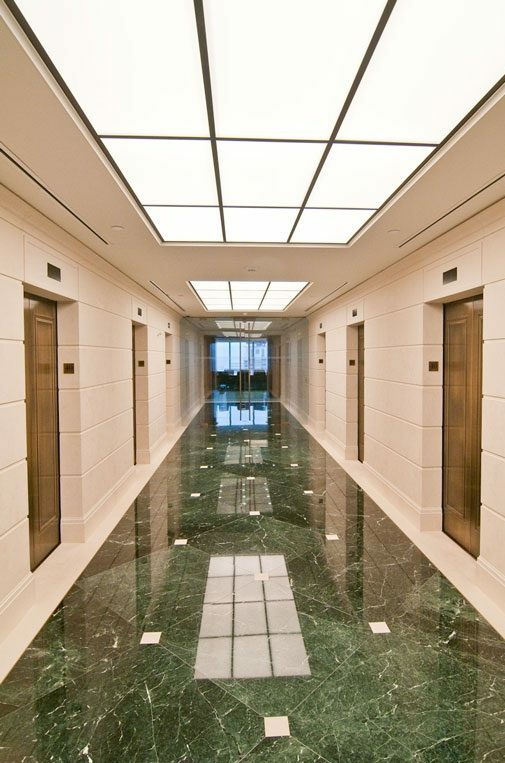 The second consisted of 124 custom fabricated panels and grid for various conference rooms and elevator lobbies. 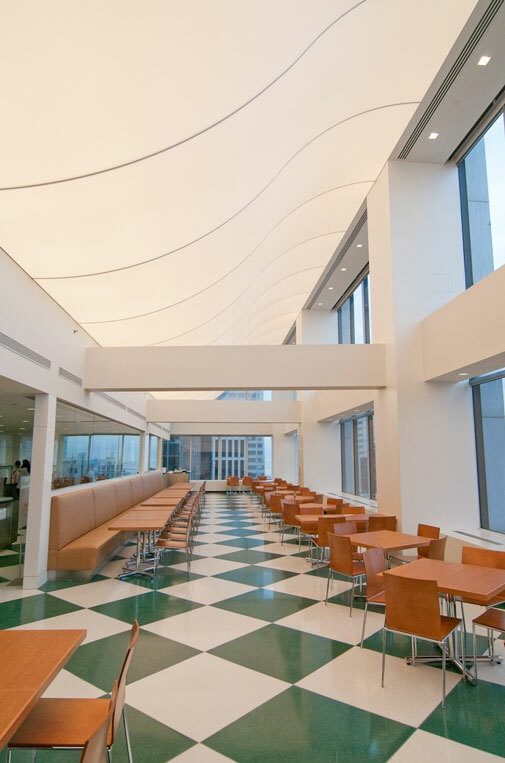 For the S-curved ceiling, Newmat fabricated double-ghost round tube dividers curved in the required shape, powder-coated white for better light reflection, and installed 7 feet on center; a single layer of NEW/LIGHT T0B/ White Translucent was stretched from divider to divider. For the custom fabricated panels, Newmat provided double-layer custom fabricated drop-in panels with a custom grid with bronze finish. TPG took full advantage of Newmat’s flexibility, aesthetics, and lighting performance to once again design a space with a striking image.